Brexit voters often refer to the unelected power of Brussels dictating to them and yet never mention that the House of Lords is exactly the same - unelected, unaccountable, power that votes on and makes the laws of the land and all most had to do to get there was be an accident of birth or donated enough money to a political party. 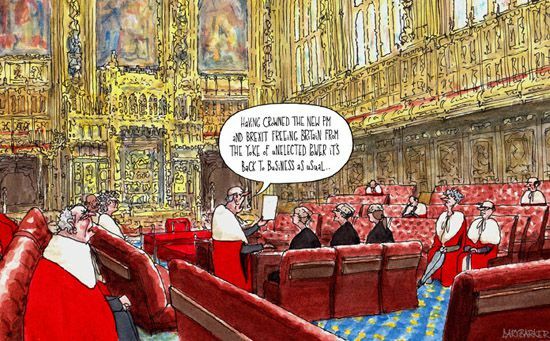 But the UK may just have been saved by the House of Lords vote to reject the Government's plans to leave the EU Customs Union once the UK leaves the EU. This has resulted in Theresa May calling a free House of Commons vote on the issue and it is increasingly being seen as a vote of confidence on May's premiership and could well result in the PM being forced out of office if she loses.